Medical Director, Women’s and Men’s Health, Pfizer Inc.
Warachal is a geriatric psychiatrist and medical director for Women’s and Men’s Health at Pfizer Inc. Prior to joining Pfizer in 2008, she was the clinical director for Alzheimer’s Research & Clinical Programs at the Medical University of South Carolina. She has been recognized for her work and advocacy in eliminating health disparities and increasing minority recruitment into clinical trials. A recipient of numerous honors and awards, Dr. Faison has been featured in the national media, including CNN, BET, and Washington Post. In 2009, the Alzheimer’s Association highlighted her efforts in helping to lead the fight against Alzheimer’s in the African American community—furthering research for prevention and a cure; making strides in care and support; and raising awareness of Alzheimer’s disease. In 2015, Pharmaceutical Research and Manufacturers of America (PhRMA) recognized her as one of the “We Work for Health Champions” for her extraordinary efforts in policy advocacy and community service. She received her medical degree and completed her psychiatry residency, including chief residency at The University of North Carolina School of Medicine. 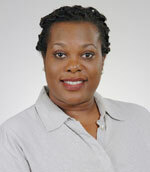 She completed a clinical geriatric psychiatry fellowship at Duke University School of Medicine. Dr. Faison’s award citation will be posted after the Light on the Hill Society Scholarship Awards Gala on Nov. 6, 2015.